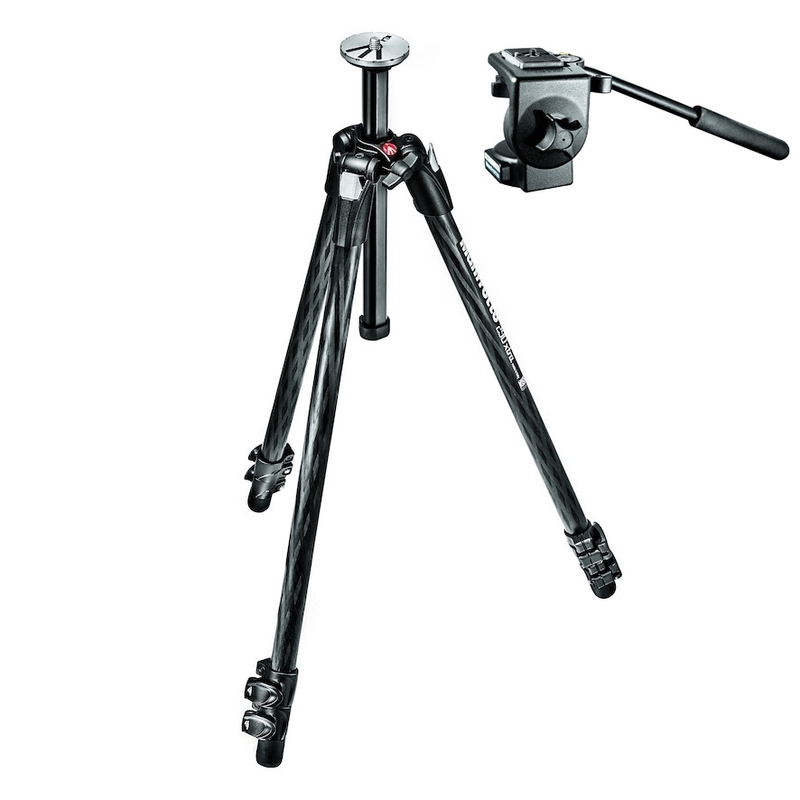 The Manfrotto MK290XTC3-3W 290 XTRA Carbon Kit consists of the Manfrotto 290 XTRA 3-section carbon composite tripod and an updated 496 ball head with quick release plate. Designed for hobbyists, this kit will support medium to heavy camera equipment, and features a magnesium top casting, adjustable leg locking levels, a choice of 4 leg angle positions, and a rapid center column. 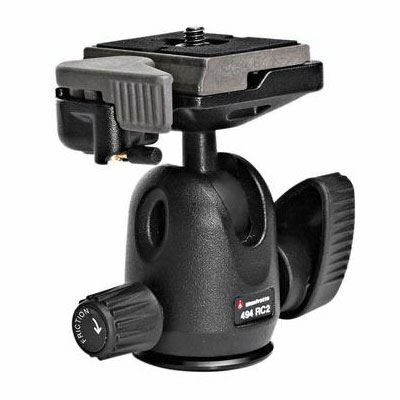 The Manfrotto 496RC2 Mini Ball Head is designed for use with compact and DSLR cameras. It has a single repositionable locking lever for 360° panoramic rotation and +/-90° tilt movements plus a friction control for safer and more precise movement. Camera to head attachment is via a Manfrotto 200PL-14 quick-release plate with a 1/4'' male thread and the head to tripod attachment is a 3/8'' female thread. The Manfrotto 496RC2 Mini Ball Head features an all aluminium construction with elliptic holes to reduce weight and a matt-black finish. (Package EXCLUDES the pan fluid head in the main image).